It seems like every household appliance is turning into a smart device nowadays! Modern fridges have tablets built in, you can search the web on your TV, and self-driving cars are on the horizon. Who could have predicted the proliferation of technology back in the 70s, 80s, and 90s? Not the architect that designed your home, that’s for sure! Technology is constantly moving forward, almost at a rate that’s too fast to keep up with! And while your home or office might have been perfectly adequate as late as the mid 00s, your home wiring might need a bit of an upgrade if you want to keep up with the relentless march of technology! But what exactly does this entail? What might you have to change? And does your house or workplace need rewiring? 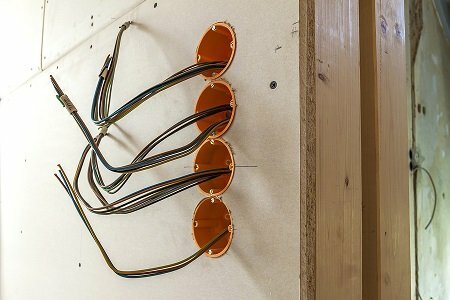 Why does your wiring need an upgrade? When the 2010s rolled around, you upgraded to a smartphone, bought a tablet, purchased a streaming device for your TV and got a Wi-Fi modem to connect it all. The average home is jam-packed full of devices and appliances nowadays, with the average household consuming a lot more electricity than it did in the past. And that’s just today. Who knows where we’ll go in the next decade – electric cars are taking off – we’ll likely see another jump in your household electricity usage very soon! Unfortunately, many older buildings weren’t designed for this level of electricity usage in mind. Perhaps there aren’t enough power points to support a modern lifestyle – alternatively, your existing wiring mightn’t have enough capacity. Whatever the cause, the result is the same: your existing system simply doesn’t supply enough power. In these cases, the only safe course of action is to talk to a licensed electrician about getting your wiring upgraded. Depending on your circumstances, your electrician might recommend rewiring your home with higher-capacity circuits and fittings to safely handle all your devices and appliances. In other cases, your local sparkie can help by installing additional power points and connecting them to your home’s electrical system. And in many cases, your electrical woes can be traced back to an old switchboard that was designed to handle the appliances of its time. Older switchboards can act as a bottleneck for your home’s electrical system and may need to be upgraded. Is your home experiencing electrical problems? Explore the common signs here. Ethernet ports, phone jacks, data cabling, oh my! Did you know: the average Aussie home has 2.2 TVs and 2.53 computers. And with the number of screens in each house set to rise, data cabling and networking points are rapidly becoming standard in many newly built homes. The only problem: many older buildings simply weren’t built with the necessary infrastructure in place. If this presents a major hurdle for many older homes, it’s especially challenging for older office spaces! While modern Wi-Fi lets you beam high-speed internet throughout your house without resorting to using unsightly blue wires, it’s still worth setting up a few cabled access points around your home. Most desktop computers still rely on wired connections, and you’ll need ethernet connections for your Wi-Fi router. As a leading commercial electrician, Briggs Electrical offer a wide range of high-speed networking and data solutions. 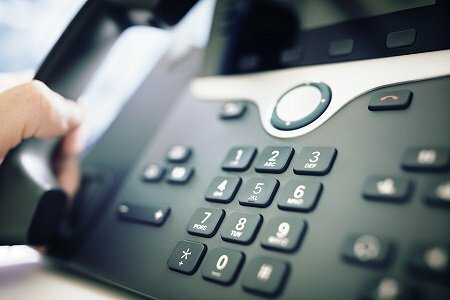 Some of our services include installing new data and telephone points, as well as implementing high-capacity fibre optic wiring for businesses that need a super-fast internal network. Over the years, building codes have been updated to keep up with increasing energy use, more efficient appliances and to better protect homeowners from electrical hazards. However, many older homes would have been grandfathered in. This means there are many homes in Melbourne with wiring that’s 40, 50 or even 80 years old! For your own safety, we encourage you to get your wiring inspected and upgraded to meet modern building codes. Not only does this protect you from electrical fires (the vast majority of which are caused by old wiring) and electrocution, but they can also bring down your insurance premiums. Many providers are hesitant to insure homes with older electrical systems! Call Briggs Electrical & Data Solutions! Does your home or workplace feel like it’s stuck in the last century? You can trust Briggs’ electrician in Melbourne to bring your wiring into the modern era. Our fully-licensed and highly-experienced team is completely up-to-date with the latest in electrical and networking trends. We’ll make sure your home is future-proofed, up to code and most importantly, safe! For comprehensive electrical and data services, give us a call on 1300 300 222 or lodge a job here.